The Diagnostic and Statistical Manual of Mental Disorders (DSM) published by the American Psychiatric Association is tasked with providing a common language and standard criteria for the classification of mental disorders. In theory, this has many benefits for those working across different disciplines. Version 5 has taken a decade to compile from 1,500 experts in psychiatry, psychology, social work, psychiatric nursing, paediatrics, neurology and other related fields from 39 countries. Results from the DSM 'field trials' have now been published . In several studies, the reliability of the new diagnostic criteria for different psychiatric disorders was measured. Two different psychiatrists assessed each patient, and the agreement between their diagnoses was calculated using the kappa statistic, where 0 indicates no correlation at all and 1 is perfect. Unfortunately, the reliabilities of most DSM-V disorders were not very good. This included staples such as schizophrenia, bipolar disorder, and alcoholism. Others were even worse. Depression, had a kappa of 0.28, and the new 'Mixed Anxiety-Depressive Disorder' scored -0.004. This diagnosis can now be described as meaningless. 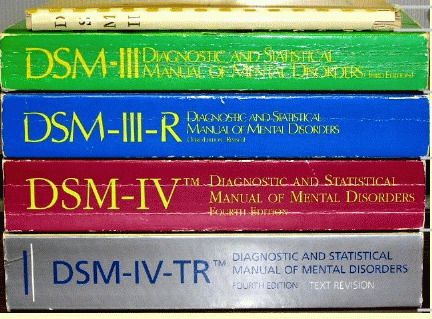 The DSM-V field results are in fact worse than the results for the DSM-III in 1980. This version has remained mostly unchanged for the last 30 years (DSM-IV made faily modest changes). The reliabilites have got worse, despite an editorial claim of 'continued progress'. That said, the DSM-5 trials were larger and conducted in a slightly different fashion, but given years of development these results remain extremely disappointing. The DSM-V may simply be ignored as practitioners in the US and UK are allowed to do just that. But a decade of research should not result in a book that gathers dust.